Have you ever wondered how exciting a tortoise’s life is? What exciting things might a tortoise get up to, if it disappears behind a bag of potatoes in the garden shed? George lived with his parents in a small cottage, miles away from anywhere. 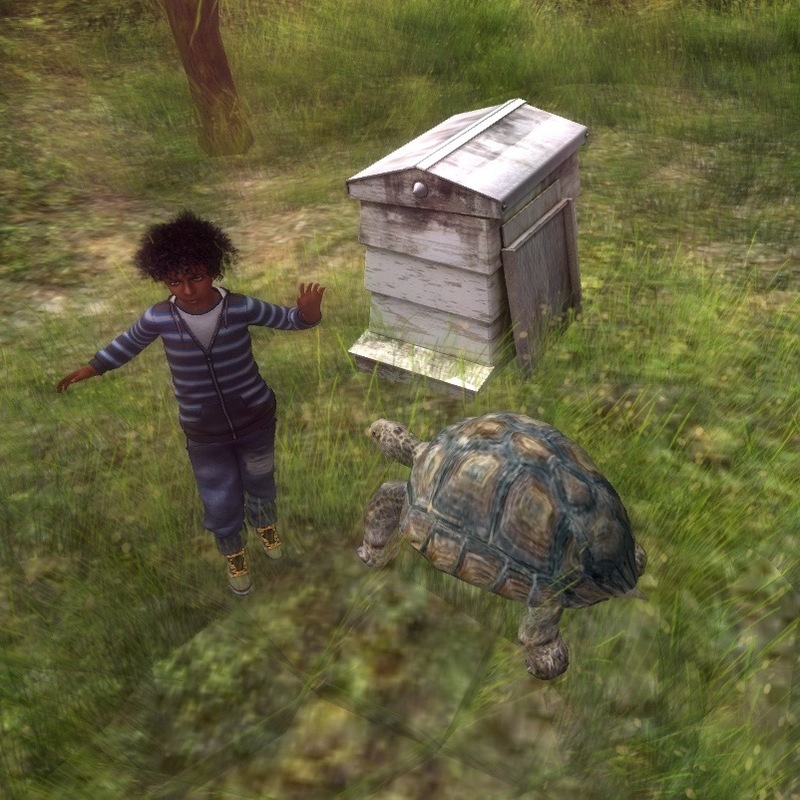 Since he was too young to go to school, he spent his days playing in the garden with Timothy, his pet tortoise. George never realised what incredible adventures his pet might have, slowly lumbering around the garden. Read “Timothy’s Big Adventure” and find out how this little tortoise crawled behind a bag of potatoes, fell into a void that led into another universe and then encountered the most amazing adventure. Sometimes, the most extraordinary stories can occur in the most unlikely places! Jack lives and works on EM-05, a steampunk space station found on a major trade route between Earth and Mars. He spends his days tarring the insides of frigates and galleons, as they stop for repairs and supplies, on their way to the distant planets of the Solar System. There are very few other children that work on EM-05 and so it can get very lonely for Jack. However, he does have one close friend, an abandoned cat named Jet, and the two of them are inseparable. 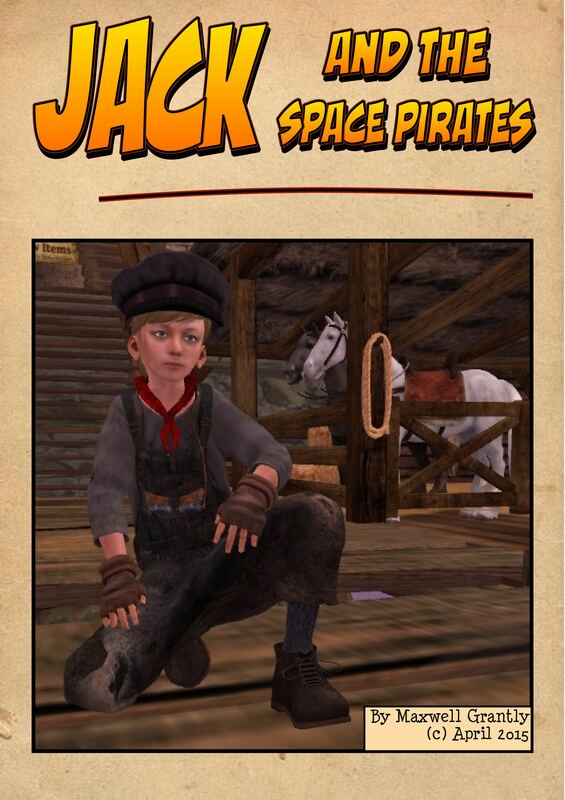 Jack and Jet find that their lives are thrown into turmoil when a gang of space pirates steals a valuable galleon. The two friends are flung into an incredible adventure and Jack is forced to devise a cunning plan to return them both to their intergalactic home. One clear June evening, Skippy took Little Teddy to the Fairy Dell and there they laid looking at the stars. Skippy told the bear all about the North Star in the constellation of Ursa Minor (The Little Teddy) and how to find it using the pointers in Ursa Major. (The Great Teddy) How Little Teddy wished he could explore those stars! It had been a long evening and Skippy began to splutter. Perhaps he had caught a cough in the chill night air. Even still, he promised Teddy that they would visit a real space exhibition the following day. Despite his tickly throat from the previous evening, Skippy took Teddy to a space exhibition and the first thing the little bear wanted to do was to sit in a replica space craft. “What does that sign say?” Little Teddy asked. Skippy looked carefully at the words and read them out. Obediently, the little bear did what he was told and pushed the red button firmly with one claw of his paw. The doors slammed locked shut and the red warning lights started to flash. Billowing clouds of steam and smoke escaped from the engines and a loud voice was heard counting down over the speakers. Skippy knew at once what had happened but it was too late to stop the launch, even if he had wanted to. He turned to Little Teddy and gave a knowing wink and a small smile radiated from the corner of his mouth. There isn’t the room to describe the things that they saw or the adventures that they had, perhaps that may come in a different story. Only the expanses of an innocent child’s imagination can grasp the breath of wonderful adventures that they experienced in the realms of outer space. Soon it was time for bedtime and Skippy spotted a wormhole in some distance galaxy. He took the hand of Little Teddy and, together, they jumped into the inky darkness and back through space and time through the bizarre twists and coils of the astro-anomaly. Within an instant they were standing back at the space station where they saw a familiar rocket soar into a space, with the helmeted faces of a little boy and his teddy at the window of the craft. Skippy looked down lovingly into the eyes of the little bear that stood beside him. He was sure in his heart that there could only be one teddy in the world that would have done that!